I'd like to think I'm a pretty clean, organized individual. I always clean up when company is coming (even if it's my parents) and insure that every crumb is off the floor. However, I've been so busy with Of The Fountain work, that I've kinda of just ignored my work area when it came time to clean the apartment. It wouldn't be too bad if my stuff didn't cover the entire dining room table. But it is that bad, so eating meals is relegated to the coffee table or our respective computer desks. 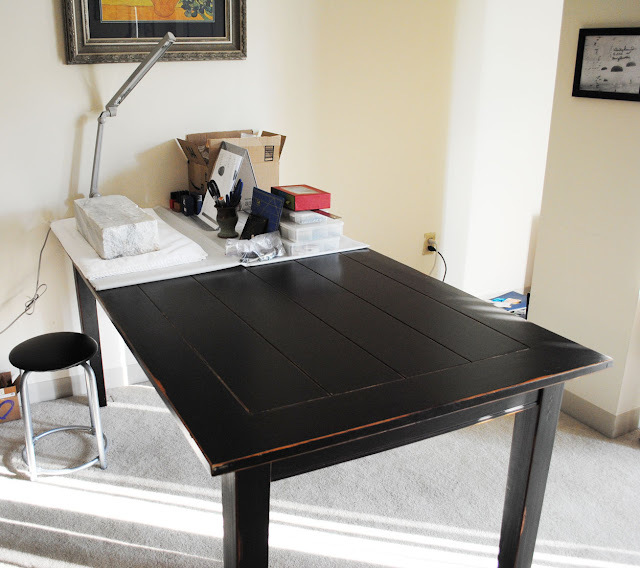 Sometimes, though, you just need the space that a dining room table can provide. Be it for a family meal, playing a board game, etc. This is my main work area. All the brown stuff is leather bits and leather dust. 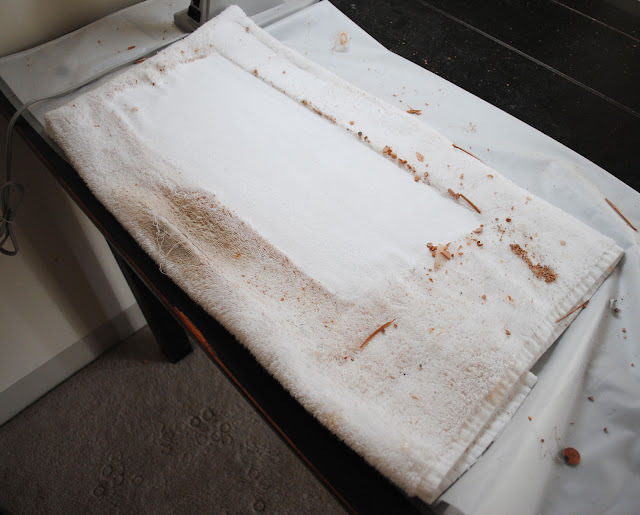 On top of the towel I usually have a giant marble slab where I stamp the leather tags. After dusting, vacuuming, and washing the towel, all is clean! 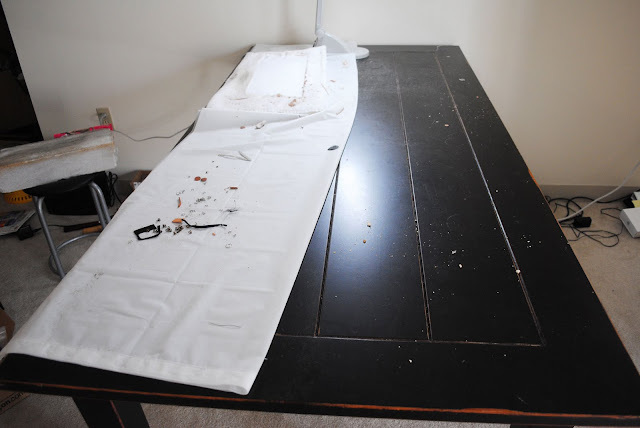 It would be great if this table stays clean for at least a month, though I'm not holding my breath. I love your dining room table! 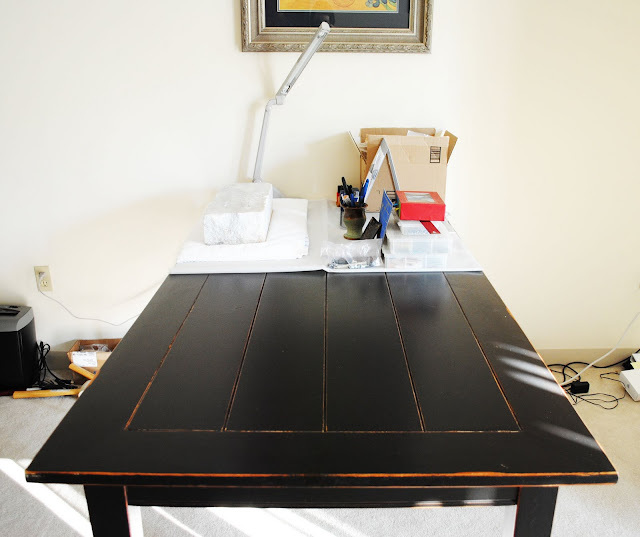 I love your work table - I need one like that, I am feeling very short on space these days....aargh! I hear ya! I recently took everything out of my office, bought large new shelving units and put everything back in all organized! It's so nice, but I know it won't last long. Good job! My house doesn't really get cleaned unless someone is coming over. Fortunately, my studio is separate from the house.